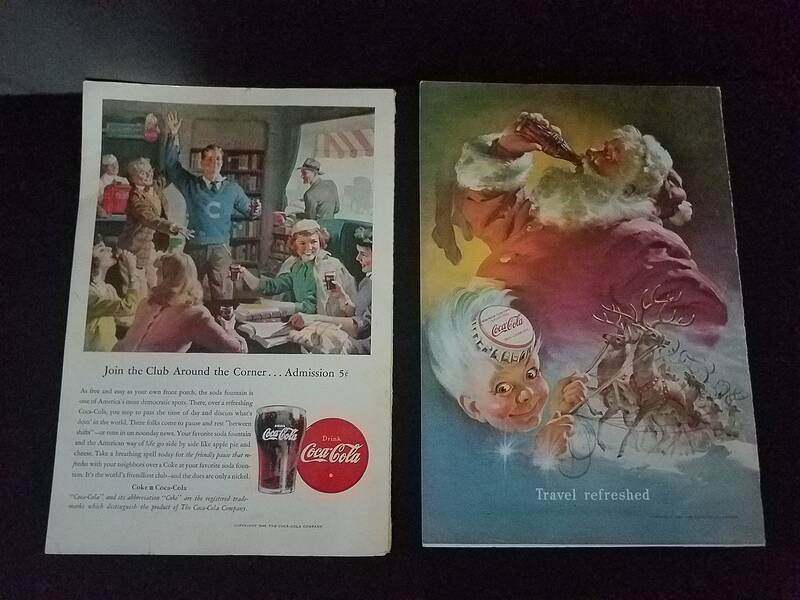 These are 2 nice Coca-Cola ads from National Geographic Magazines. Both are on thick paper from the outsides of the mags, not the inside paper. Both are in great shape with no creases, rips or discoloration. They are each 10 x 6 7/8". 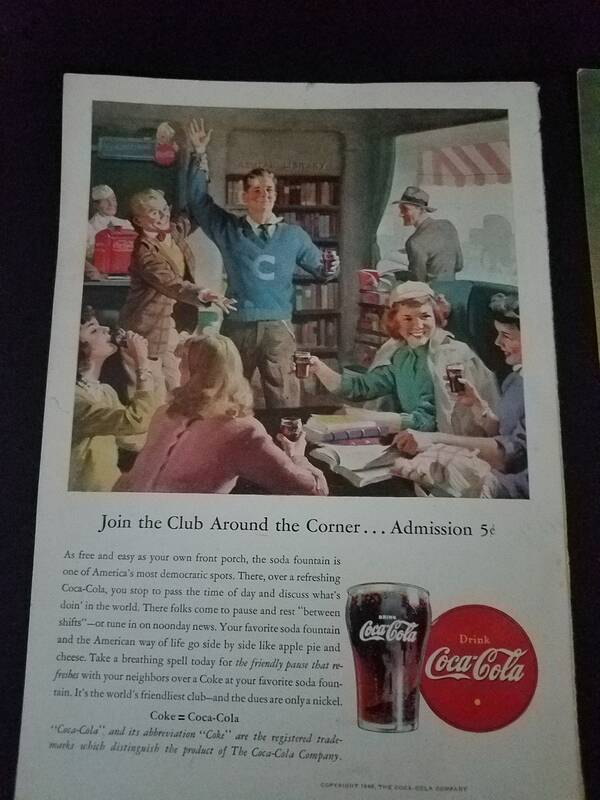 The first one, from 1946, features teenagers at the soda fountain. 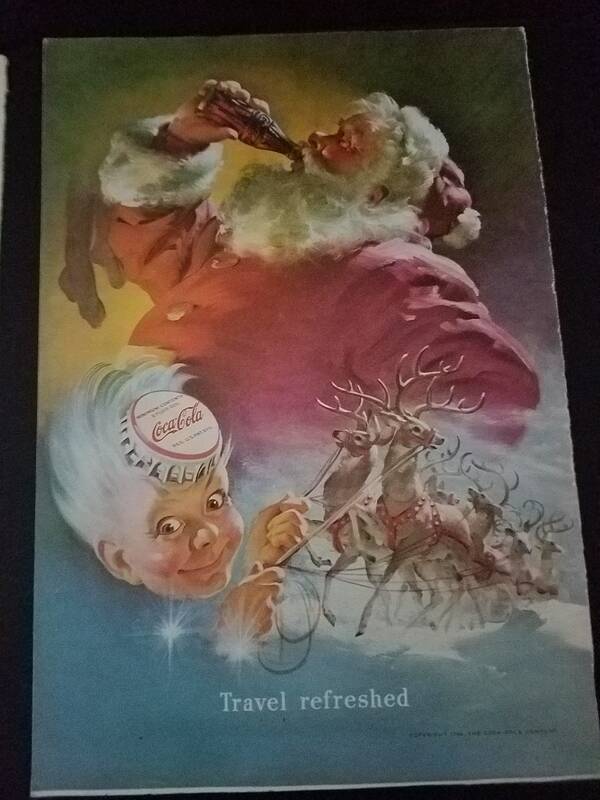 The second one is a coveted Christmas ad showing Santa drinking a coke with an elf holding onto the reindeer. It is from 1949. Makes a super nice gift for a collector, framed or unframed.